Do you find yourself dreaming about doing something new and exciting? Teaching English as a Foreign Language is the perfect way to try something completely new, without needing any previous experience as a teacher. Whether you’d like to teach English online from the comfort of your own home, or travel the world teaching English in schools, TEFL opens up a whole new world of opportunity! Here at TEFL Org, we are proud to be the most highly externally accredited TEFL provider in the UK, so you can rest assured that your training will be of an excellent standard and your course is recognised internationally. We offer a wide range of TEFL courses to suit the needs and schedules of our customers. From a 20 or 30 hour classroom TEFL course in Cardiff, to a 150 hour combined classroom and online TEFL training course, there really is something for everyone! No matter which course you choose to take, you will receive and internationally recognised TEFL certificate once you pass your course. When selecting the right course for you, it’s worth bearing in mind that the more hours of training you complete, the better qualified you are as a TEFL teacher and most employers look for you to have at least 120 hours of TEFL training. Once you complete your training, you can login to our exclusive TEFL Job Centre which advertises teaching positions around the world. Get 50% off course options including this date. Use discount code "CARDIFF50" when booking. Our TEFL courses in Cardiff run over selected dates throughout the year. Choose between a 20 hour weekend classroom TEFL course and a 30 hour weekday classroom TEFL course. During your classroom training, you will learn about the most up-to-date TEFL teaching methods, English grammar and how to teach it, classroom management and lesson planning and preparation. You will also have the chance to experience creating and implementing your own mini TEFL lesson and practising in front of your peers! 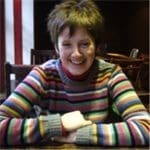 Our Cardiff TEFL course is normally run by our highly qualified and experienced TEFL tutor Rachael. Q1. What is the classroom schedule for the 2-day weekend course in Cardiff? Q2. How many people will there be in the Cardiff TEFL classroom course? How long do I have to complete my TEFL course? This is dependent on which type of TEFL Org certification you wish to gain, for example a 140 hour combined TEFL course (one of our Premier TEFL courses). The 20 hour weekend course will take two days over a weekend. For the 120 hour online part of the course, it normally takes about 16 to 20 weeks to complete, however, you do have up to a full six months to complete your online learning. If you can spend a lot of time working through the online courses it is possible to complete the course with a month. Do I need any additional qualifications to do TEFL? A: TEFL courses are open to everyone; you do not need any qualifications or teaching experience. The only requirement is to be a native English speaker or to have a fluent level of spoken and written English.If you do not have any previous teaching experience, we recommend at least 120 hours of training to ensure you are as confident and well versed in TEFL as possible for when you step into your first lesson. A minimum of 120 hours of training also makes you eligible for the widest range of TEFL jobs as this is a requirement for many employers. Certain countries request a BA degree for work visa purposes, but if you don’t hold a degree there are still plenty of TEFL opportunities out there. It’s hands on! We believe that it’s so much more effective to be involved in practical activities rather than just listening to somebody lecturing at you. This is why during your TEFL course in Cardiff, you will be kept on your toes with activities and games to help you retain the information you learn.